 San Ramon, Calif., October 15, 2018—Synergy Global Housing (Synergy) today announced that the company has opened a new local office in Shanghai, China. This additional location in the Asia-Pacific (APAC) region builds on the organization’s existing strong presence in Singapore—where Synergy’s APAC Global Solutions Centre is located—while advancing the company’s mission of transforming the hospitality ecosystem on a global scale. As a prerequisite to offering an end-to-end solution in China, a serviced accommodations provider must be able to bill and issue fapiao invoices. Synergy has achieved an industry milestone and has become the first international temporary housing organization to not only bill in local currency, but also invoice in fapiao. Synergy has a team already in place ready to assist and to meet customer needs and global travelers with a demand for serviced accommodations in China. Synergy’s new office space is located in the CapitaLand Tower inside Ascott China’s headquarters. Synergy, along with its parent organization Ascott, together will now provide one of the largest concentration of serviced apartments throughout China, particularly for Tier 1 and Tier 2 options. One of the biggest benefits of the new Shanghai location is that it gives Synergy a significant advantage over industry competitors: the ability to invoice in fapiao, a Chinese tax receipt that is required to be sent from a local office in China, rather than from locations outside the country. Synergy Global Housing’s Shanghai office can now bill in the local currency, while allowing global clients to work with one company—Synergy—rather than many smaller local destination service providers (DSPs) in China. Fapiao—which are official invoices registered at the local tax bureau used for tax deduction purposes—contain detailed information including the trader’s tax code, address, telephone number, and bank account information. Synergy has proven experience, and recently billed its first invoice in fapiao. There are multiple advantages to fapiao invoicing for Synergy’s clients, as individuals need fapiao to reclaim business expenses, while companies must record all business transactions on a fapiao. Fapiao invoicing additionally allows companies to be reimbursed for taxes paid on housing rentals.